Being a Spanish movie fan? 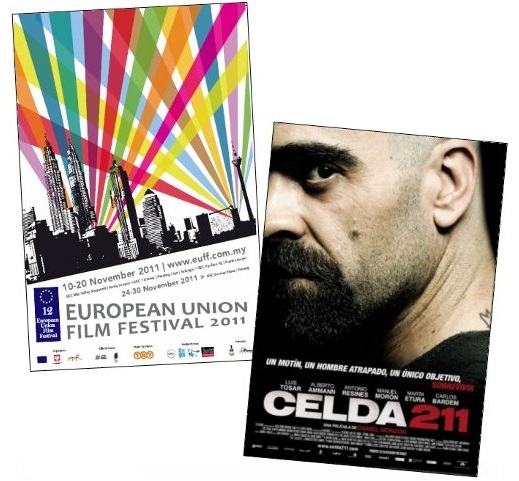 How about catching this Spanish movie, "Cell 211" from the 12th European Union Film Festival for FREE? GSC is giving out two (2) FREE tickets when you print out their online coupon (available for FREE). Redemption is first-some first-served basis, while stocks last. One printout is exchangeable for two (2) complimentary ticket only. One person is limited to a maximum of four (4) complimentary tickets only. This coupon must be presented in exchange for complimentary tickets. Full details will need to be filled.